I was hunting around for some placemats a while back for our table but couldn’t find anything I liked. So like the good crafty person I am, I just decided to make some. 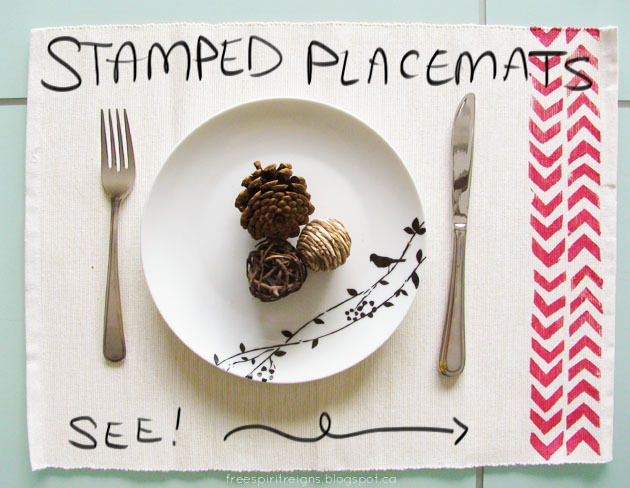 These hand-stamped placemats are a great way to customize your dining table and have your table linens match your style. Plus, who doesn’t like to be crafty & tell people you made them? Thought so. 1. Decide on what kind of pattern you want to put on your placemats. I decided on sort of a broken chevron along just one side. You can stamp what you want, wherever you want! If you want to do a design along one edge, make sure you get a piece of wood that is the same length as your placemat. 2. Transfer your pattern or image onto the fun foam. I free handed my little chevrons because I liked the hand cut look to them. This took a while because I had quite a few to cut out. 3. 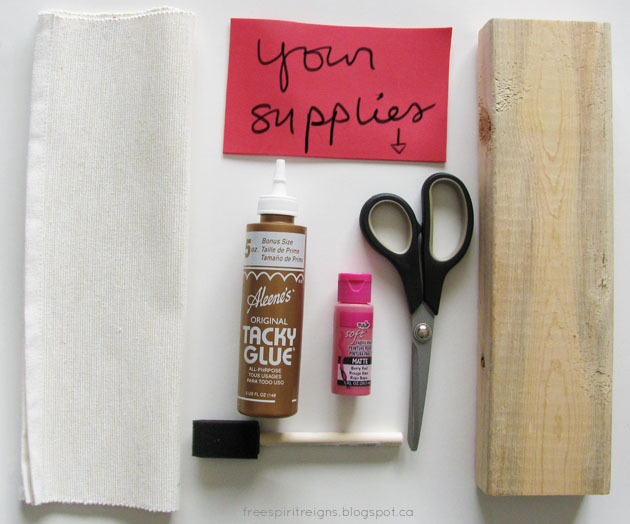 Once your pattern/image is cut out, mount it onto the piece of wood using the tacky glue. You could use white glue, but I highly recommend using tacky glue because it holds great! (As per my style, I forgot to take a picture of the stamp before I used it. Surprise, surprise.bAhem. 4. Once your stamp is mounted, get yourself a paper plate or piece of cardboard to put your paint down on. Follow the instructions for your brand of fabric paint to make sure it works. I washed my placemats and ironed them before I stamped them. 5. 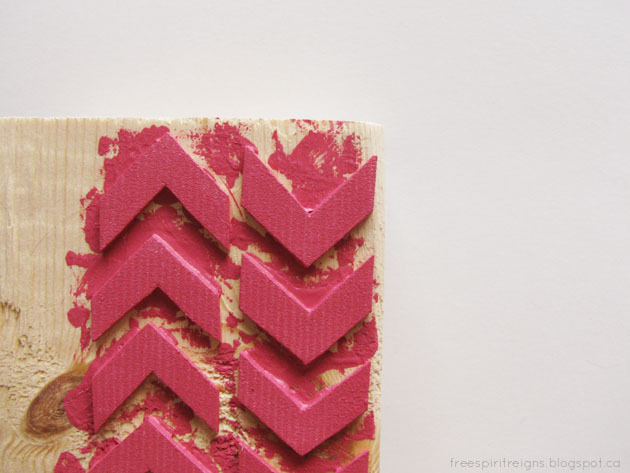 Using your paintbrush, quickly work to cover your stamp in the paint. Then place it in the desired spot on your placemat and press down evenly, but not with too much pressure. If there are some gaps or the paint isn’t as saturated as you like, use the small paintbrush to go over those areas. Keep working until you’ve completed your pattern and stamped all your placemats. Then stand back and look at how awesome they really are! I bet you’ll even get a compliment or two on how great they look. You’re welcome.